I love how every member of the Undisputed ERA has his own feud in the roster. The Tag Team Champions have many teams gunning for their title. Adam Cole has his own bunch of feuds. 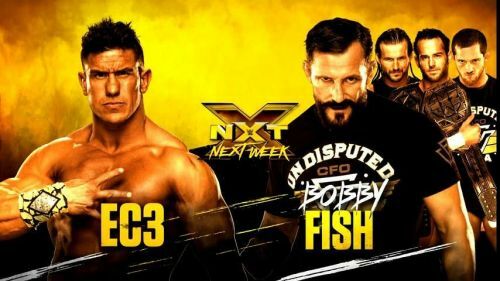 The returning Bobby Fish has EC3 to contend with. The two men will finally settle their score next week. Expect this to be a personal and hard-hitting affair between two of NXT's promising superstars. And that's not all that's on the cards next week. There is a huge open challenge scheduled with Ricochet defending his North American title against an unknown opponent. Who knows who will show up, considering that it could be anyone from someone not yet signed to NXT, to main roster talent. I'm sure you're just as excited for next week as I am.